Quickly learn the pros and cons of common handgun/pistol calibers. 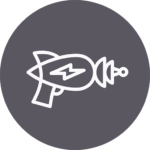 We’ll also cover average price, recoil, and recommended self-defense ammo for each. 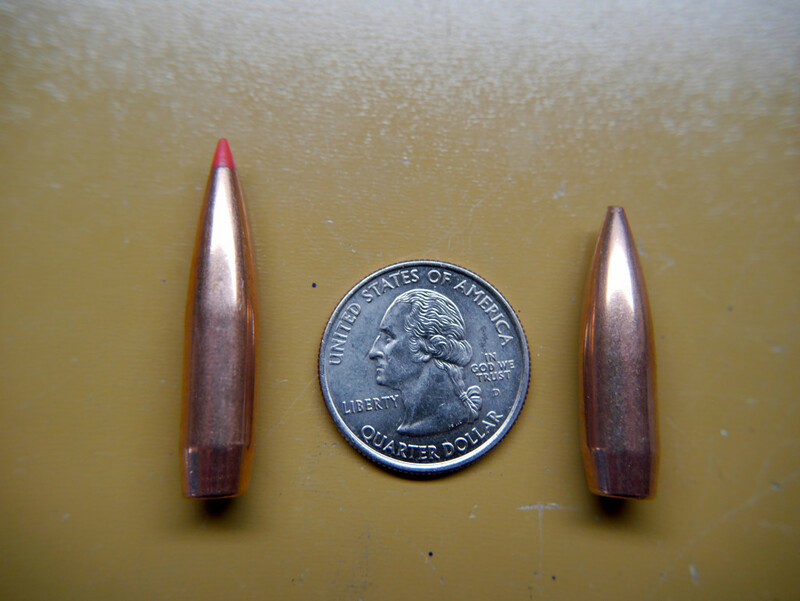 Caliber is the size of the bullet’s diameter and it can be measured in both inches and millimeters (mm). Most of the time if there’s no overt “mm” at the end, it’s in inches. 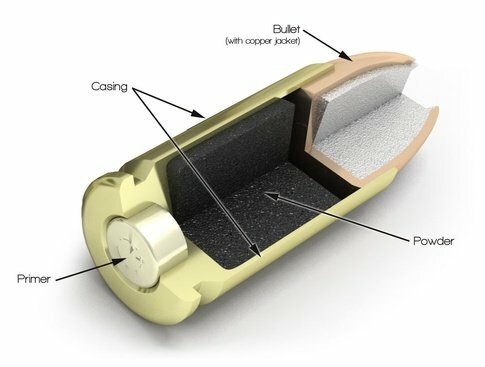 Before we just jump into it, let’s go over some of the terms we’ll be using to determine the pros and cons of a bullet. 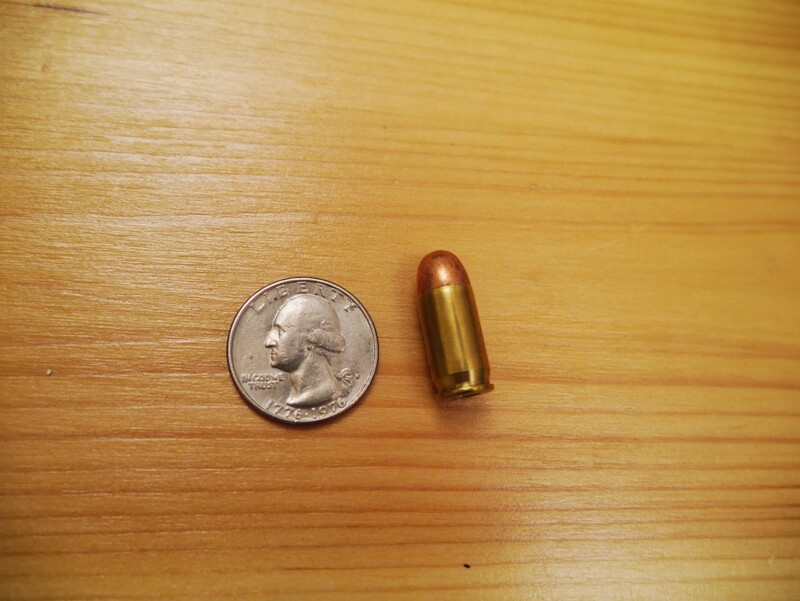 Bullet weight: Measured in grains (gr) which is a really small unit of measurement. 7000 grains make up a pound. Energy: Measured in Joules (J), a very rough approximation of the destructive power. Ready? 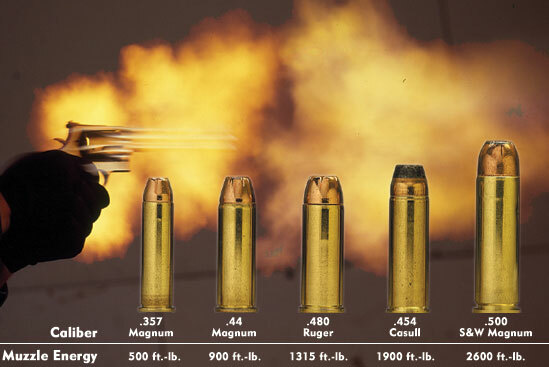 Let’s go over 9 of the most common calibers! 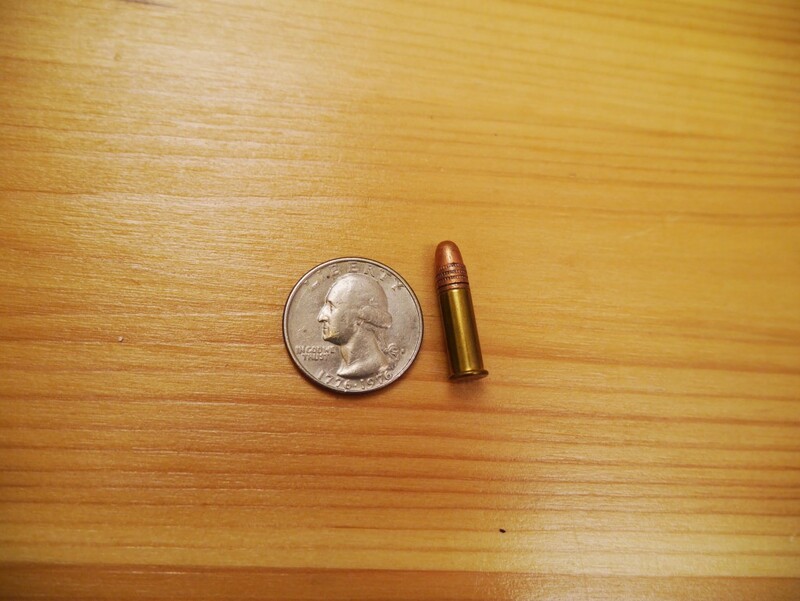 The “twenty-two” long-rifle is a teeny tiny round but don’t let its size fool you. It’s the most common round out there and is a “rimfire” instead of a “centerfire” round like all the other ones coming up. This just means the firing pin hits the rim instead of…the center. The recoil is barely there and it’s a great round to start off as a beginner. Still deadly though…these tiny rounds apparently have a habit of bouncing around inside the body and hitting vital stuff. This small round is known as the “three-eighty” ACP (Automatic Colt Pistol) but sometimes called the 9mm Short or 9mm Kurtz. It’s very popular as the caliber of choice for small pocket pistols but offers much less power than 9mm Luger. The 9mm Luger or Parabellum is my personal favorite and is carried by 60% of the police forces in the US. 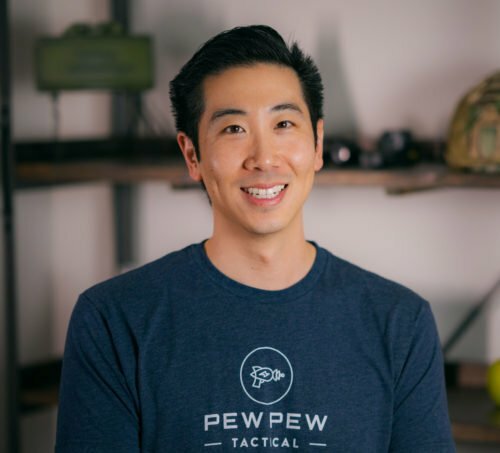 The FBI has returned to it, and the Navy Seals recently adopted the Glock 19 chambered in 9mm. Mild in recoil, affordable for lots of training, and small enough to have a good-sized magazine (~17 for full-sized handguns). Plenty of flavors of regular and self-defense ammo that are very effective (Best 9mm Ammo: Self-Defense & Range). What’s your take on the ubiquitous 9mm? The “forty” Smith & Wesson is a very popular round with more recoil than the 9mm. 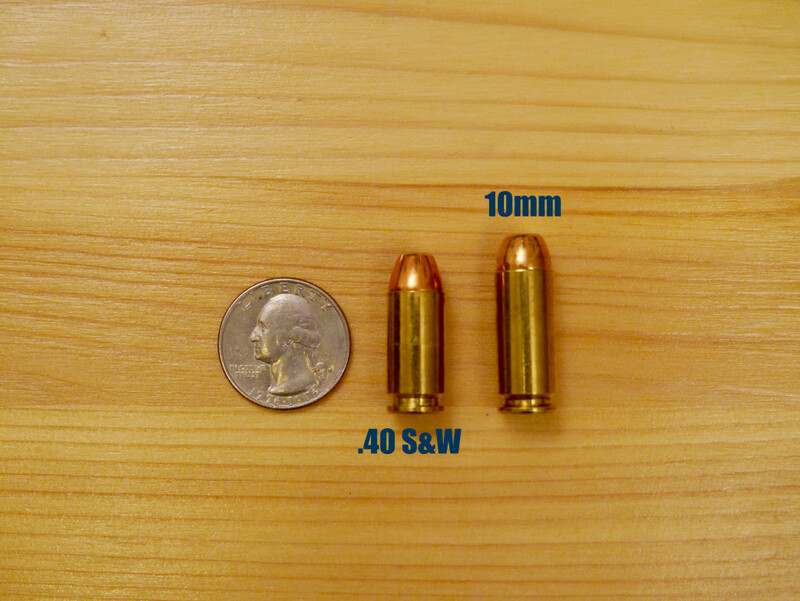 It is a shortened version of the 10mm round so sometimes it is derisively known as the “40 short & weak”. A big caliber that fuels the venerable 1911 pistol. The “forty-five” ACP (Automatic Colt Pistol) has legendary stopping power for non-hollow point bullets. 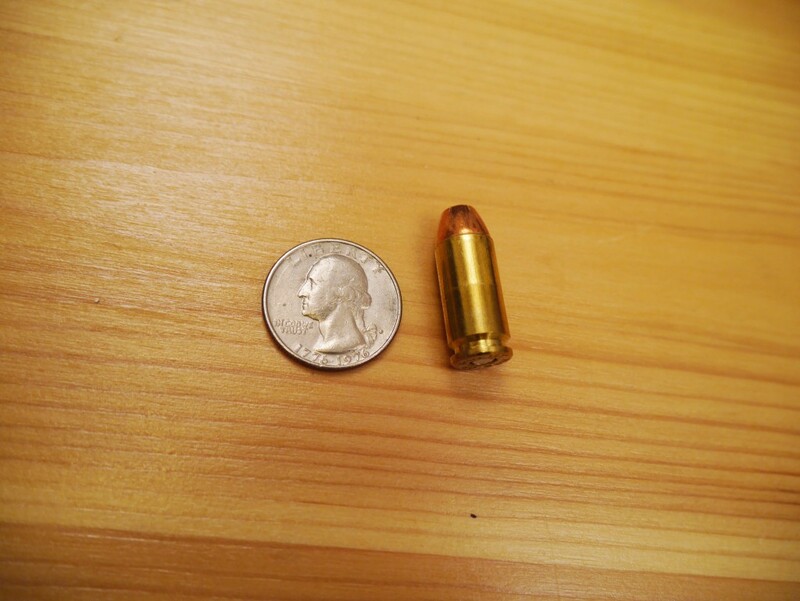 You’ll hear cute sayings like “9mm only kills your body…a .45 kills your soul.” Good amount of recoil compared to the 9mm and .40 but feels more like a push because of its slower-moving big bullet. The big brother of the .40 S&W and much rarer. Originally designed to be flatter shooting than the .45 and better stopping power than the 9mm. Plenty of kick and energy. 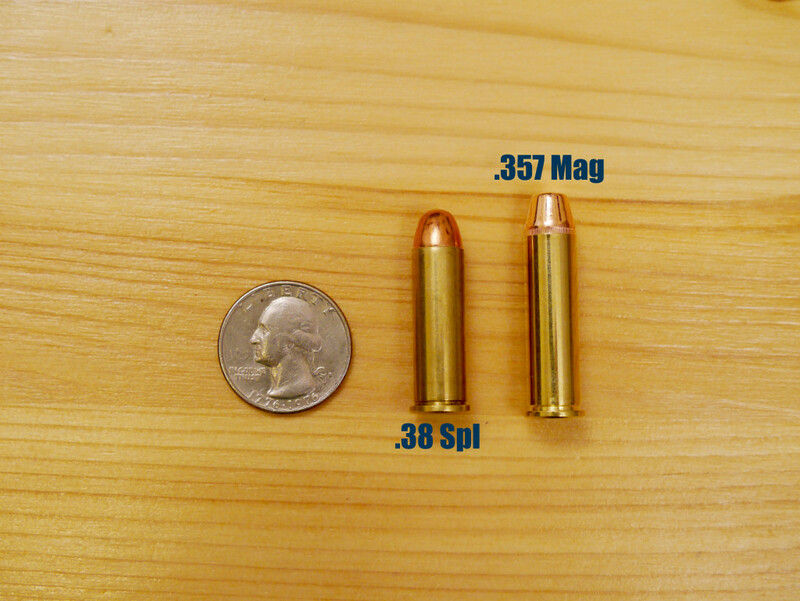 The “thirty-eight special” is not to be confused with the .380 ACP. 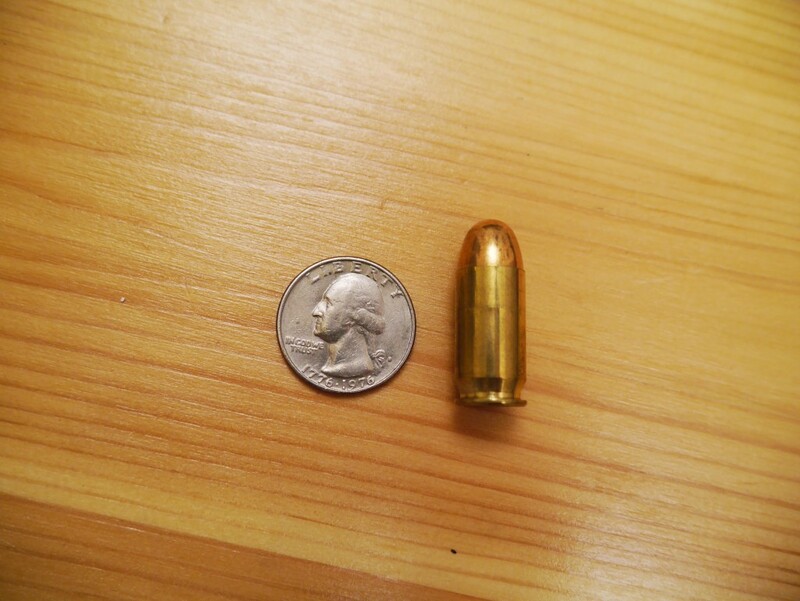 This round is very popular with revolvers and was the standard caliber for police departments from the 20’s to the 90’s. Recoil is manageable but not the most fun if you’re shooting with a tiny revolver. Can be fired in .357 Magnum guns. Big brother to the .38 Special, it’s slightly longer and more powerful. You can shoot the .38 Spl in a .357 revolver, but don’t go the other way around! Great reputation for stopping power. These are just what we think are the most common handgun calibers you’ll see out there. 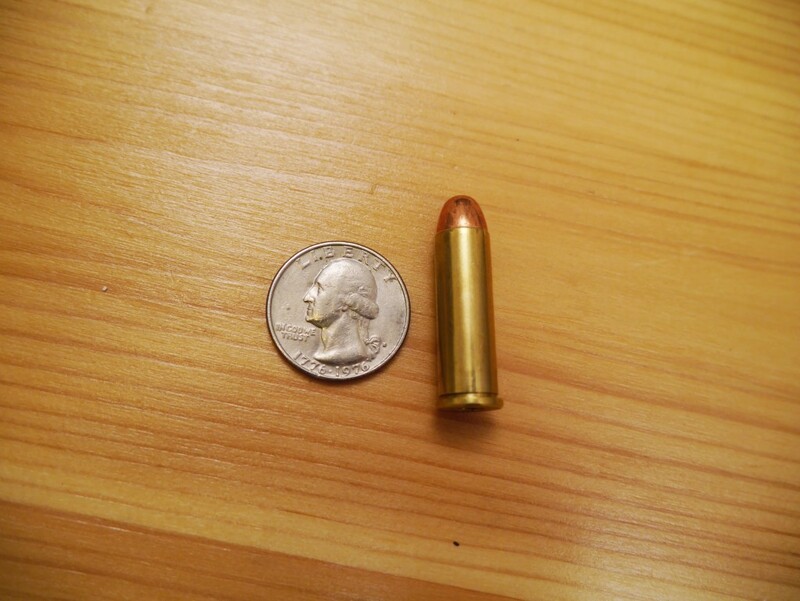 If you want to learn more about bullet calibers and the type of bullets out there (such as full metal jacket vs hollow-point), check out this other article. Or if you just want to see our suggestions for the best ammo. 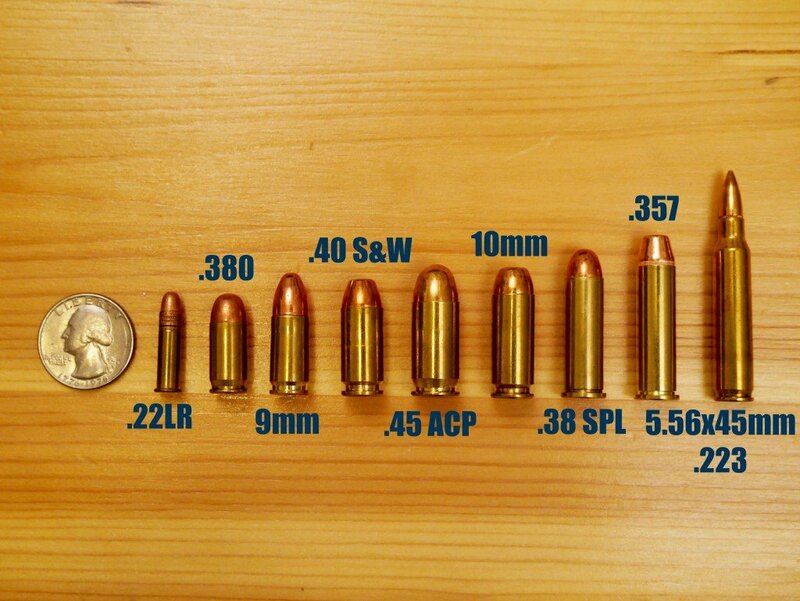 I always wonder why the calibers in between 22 LR and 380 ACP are mostly left out. 327 FED performs better than 38 SPC and gives you 6 instead of 5 in a simular sized revolver. Energy is in Joules, not ft/pounds. 9x19mm commonly falls between 480 and 620 Joules. That would be between 350 and 450ish foot-pounds. Your clueless about the 10mm. Nice idea for an article, but as others have said, your numbers are way off. 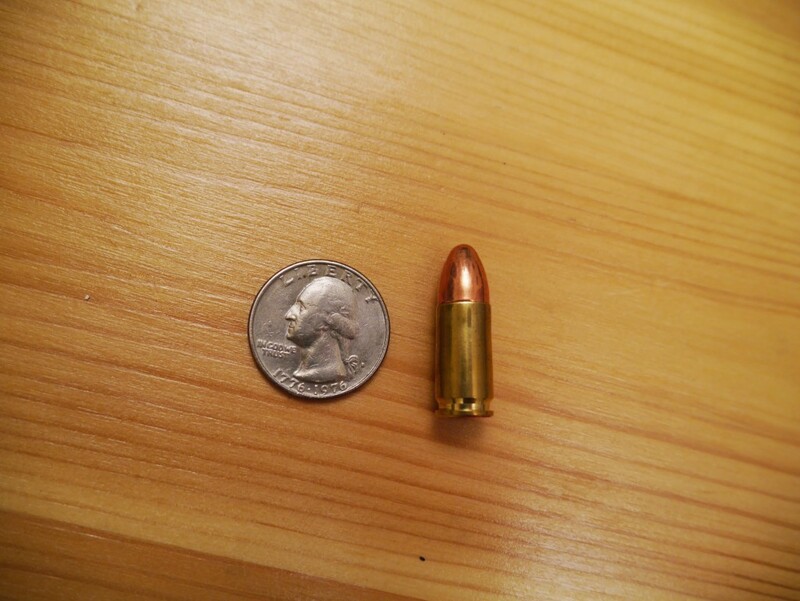 I find it strange that the 10 mm short (40 cal) is more powerful Than the 10 mm. On other calibers you at least give a range, but the 10 mm just gets 575j. Maybe a little more research would be in order before you publish an article.